Thanks as always to Pirate’s Cove and The Other McCain for the Rule Five links, and to blogger pal Doug Hagin at The Daley Gator for the linkback! “Neanderthals created meaningful symbols in meaningful places”, says Paul Pettitt from University of Durham, also a team member and cave art specialist. In the Cueva Ardales, where excavations are currently being conducted by a German-Spanish team, the presence of Neanderthals has also been proven from analysing occupation layers. “This is certainly just the beginning of a new chapter in the study of ice age rock art”, says Gerd-Christian Weniger of the Foundation Neanderthal Museum Mettmann, one of the leaders of the Ardales excavations. In the Iberian Peninsula Neanderthal symbolic behaviour may actually have a long-term tradition. In a second study, also published this week by Hoffmann and colleagues, the researchers determined the age of an archaeological deposit located at the Cueva de los Aviones, a sea cave in Southeast Spain. This cave contained perforated sea shells, red and yellow colorants and shell containers including complex mixes of pigments. The researchers used U-Th dating to determine the age of the flowstone that was covering and protecting the deposit. “We dated the deposit underlying the flowstone to an age of about 115,000 years”, says Hoffmann. These dates are even older than similar finds in south and north Africa associated with Homo sapiens, but at this time Neanderthals were living in western Europe. This is a pretty profound finding. For many decades, most thought of the Neandertal as shambling brutes, apelike, inarticulate and savage. More recently, most even in the field of paleoanthropology reckoned the Neandertal as lacking the capacity for symbolic thought, for the leaps of mental ability that leads to such things as decorating their clothing, tools and selves. We’re beginning to learn more now. 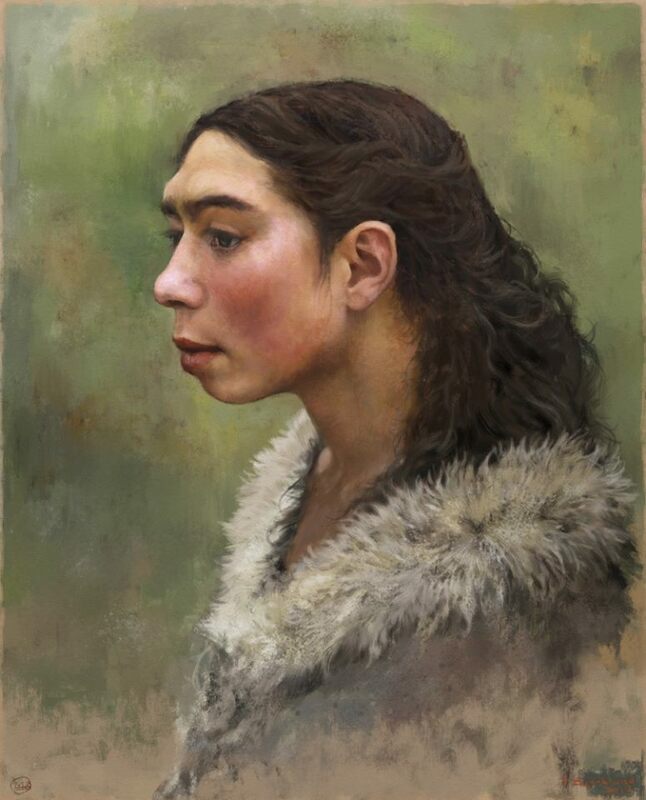 Recent finds have shown the Neandertal made jewelry; a hyoid bone found in the Levant indicates they were fully capable of speaking, although their voices may have sounded odd to us. Folks shouldn’t underestimate these people. They survived for many, many millennia in some of the harshest environments known to humans, and did very well until much of their preferred forest habitats were replaced by open steppe, where our more gracile, longer-legged, distance-running ancestors had the edge. 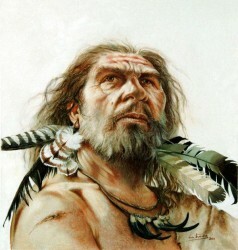 But the Neandertal were more sophisticated that most modern folks suspect. It would be very, very interesting to meet one.